Teenage Mutant Ninja Turtles: Danger of the Ooze is the newest offering from the development house WayForward. It was released in November 2014 by Activision and promises to be one of the best cartoon based games to be released this calendar year. As one would expect, the major villain in the game is the Shredder but he also has an army of mutants to call on and threatens to unleash the power of the Super Mutagen which could destroy the turtles beloved NYC. Obviously, it is the 4 turtles’ jobs to defeat the Shredder and his minions and ultimately prevent this from happening. The game is solely single player, which does detract from the experience somewhat but that doesn’t for one second mean that the game isn’t exciting. 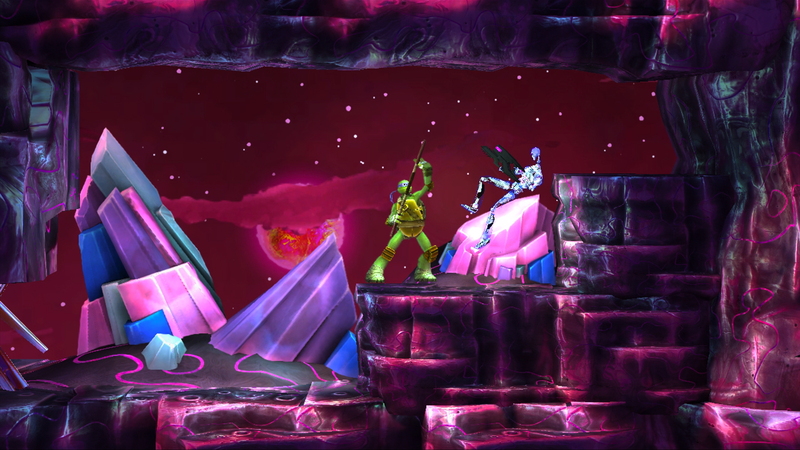 Players can play as the same Teenage Mutant Ninja Turtle throughout the entire game, or switch between them at a whim. This is a fantastic feature as it gives players a different perspective on the virtual world and scenarios that are being played out, it’s like having four different games all in one. There are a host of brand new enemies that are yet to be seen on the television show, or in the movies, meaning players won’t be familiar with the moves or techniques of some of the villains before fighting, increasing the difficulty and interest levels in the game. Moreover, there is a whole new combat system for players to master and battle villains in an effort to stop the evil Shredder and his minions. 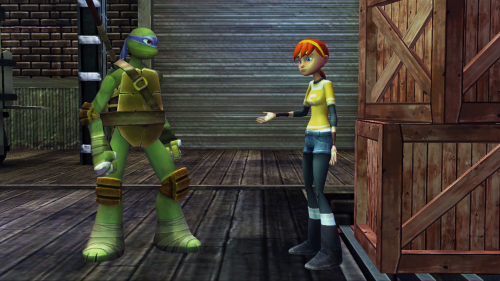 Players can improve the Teenage Mutant Ninja Turtles by battling opponents and earning experience and also by searching around their environments and finding hidden upgrades and items. Think of Pokemon but Ash Ketchum is actually one of four Ninja Turtles, oh, and there are no actual Pokemon! The graphics and game play are incredibly detailed and very smooth and they have a lovely familiarity to the old TV shows, for the 20 something’s out there anyway. Players will be pleased to know that the game play is a side scroller, very nostalgic, but actually it is a non linear side scroller so players are required to really search around the city, looking for clues and unlocking new areas of the city to explore, mainly by the way of defeating baddies or finding upgrades. There is also a completely new and fresh dimension in the game for players to explore, which makes fantastic use of the 3D effects, something that is somewhat overlook in normal side scrolling games. Overall, Teenage Mutant ninja Turtles: Danger of the Ooze is a fantastic game, sure to bring back nostalgic memories to anyone fond of the TV shows. The game play is genuinely exciting and the graphics are simple but warming. If players are bored, they can switch to another character and see what playing as Donatello is like, it’s got to be Michelangelo though surely hasn’t it?